Before I started blogging, I had a huge scrapbook of recipes that I had collected. Some of them I made multiple times, while others I wrote down to try. This recipe is one that was passed on from a friend, and I am unsure of its original source. It’s one of those reliable recipes that you know will be a hit at parties-I don’t think anyone can resist just one! And it’s so simple to make, just whip up all the ingredients, place in the oven & you’re done! 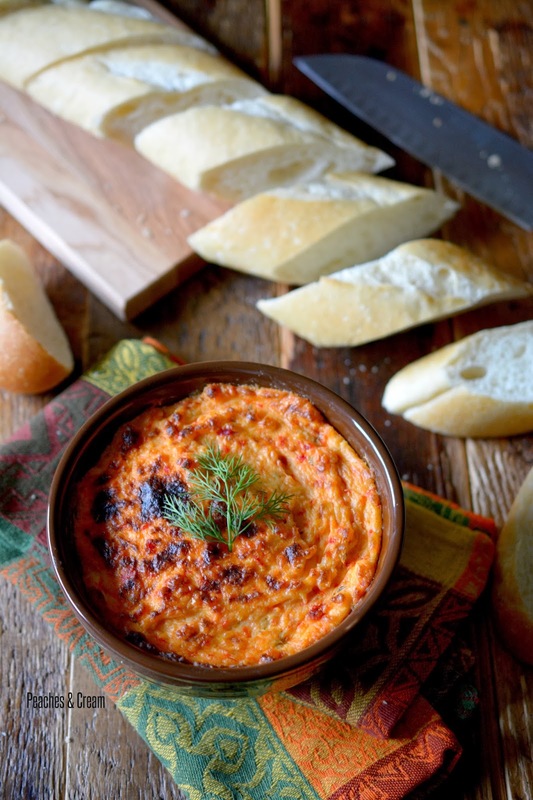 This dip is best when served warm, preferably on top of crackers or bread slices. It tastes alright cold, but I like how smooth & creamy everything is warm! In the bowl of a stand mixer fitted with a paddle attachment, place all the ingredients in a bowl. Mix on low-medium speed until well combined. Transfer to an oven proof bowl and broil until golden & bubbly. Turn the oven down to 350 degrees and bake for 15 minutes. 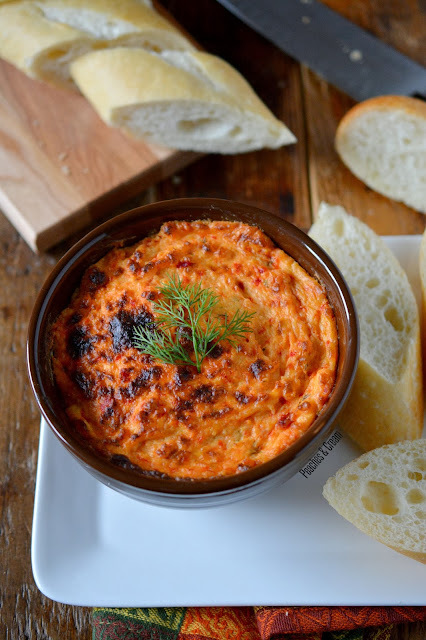 Serve with pita chips, crackers or bread slices. Source: adapted from a friend.